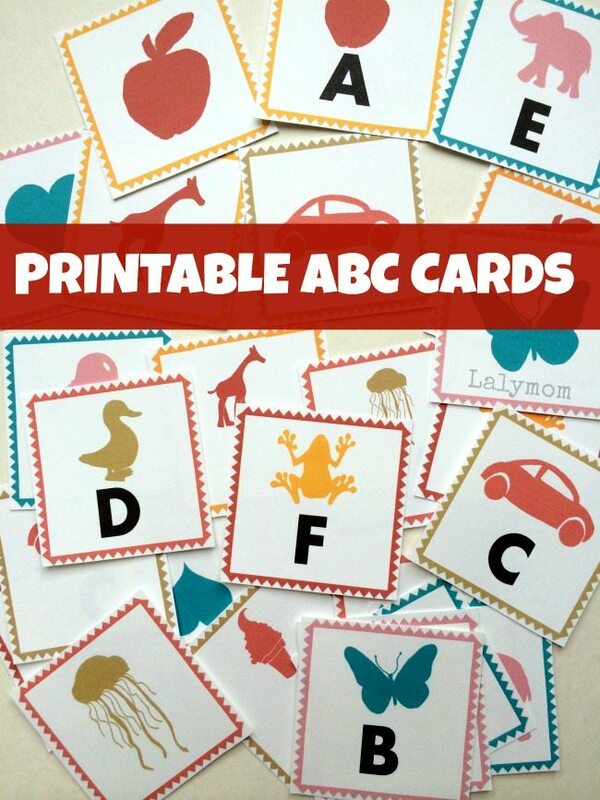 Today's post offers a fun, free DIY project that allows for a wide range of ABC Letter activities for kids. 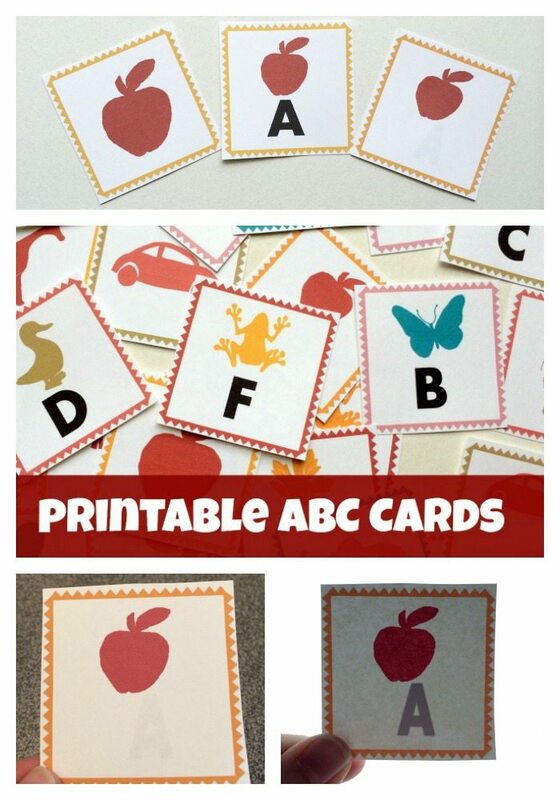 These free printable alphabet cards are so versatile and can be used with babies, toddlers, preschoolers- even school aged kids! I have been planning these cards for months and as I was starting to thinking about the images I wanted, I saw some beautiful printables from Melissa at Mama Miss. 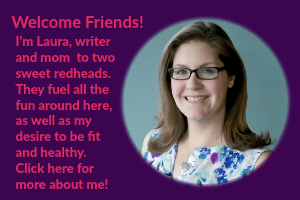 She does such amazing work from her crafts, recipes and printables that I just really wanted to work with her. I reached out to her and as luck would have it she was willing to work with me and designed a lovely set of graphics JUST for this set! So here you have a one-of-a-kind Mama Miss & Lalymom collaboration! She designed the images from Apple to Zebra and I turned them into three sets of printable cards, available to you for free! I think these would be so fun for everyday play, summer learning and even homeschooling! They actually are just about the same size as your standard memory cards, and they fit perfectly in the pockets of our Alphabet Pocket Chart Baby Gate Cover! So here is the deal. You print them the way you want to use them! We did all the work of making them pretty! The first way you can print these cards is a picture & letter flash card, which has both the image and the corresponding letter on the same side of the card. It is the center card in the very top image there. Just load some cardstock into your printer, print, cut and play! Laminate them for added durability! For front and back flash cards, where your child has to flip the cards over to see the letter, use the Memory Match set (left one in that top picture) printed front to back. Same thing, print, cut and laminate if you want! The second way you can print these is as Memory Match Cards (again, top left). You can print large images cards and separate large letter cards. Then once they are printed and cut, you can play a game of Memory Match bu flipping them all face down, and turning them over two at a time until you get a match! This was actually my original idea for this set and I love it! If you print the Magic Reveal Cards front to back on cardstock, you will be able to see the image on the front and when you hold it up to a light table, light box or window, the correct letter is revealed! MAGIC! You can see what they look like in the bottom two images of that photo up there. The one where you can see the A is actually because the light shining through the card! Fun, right?! 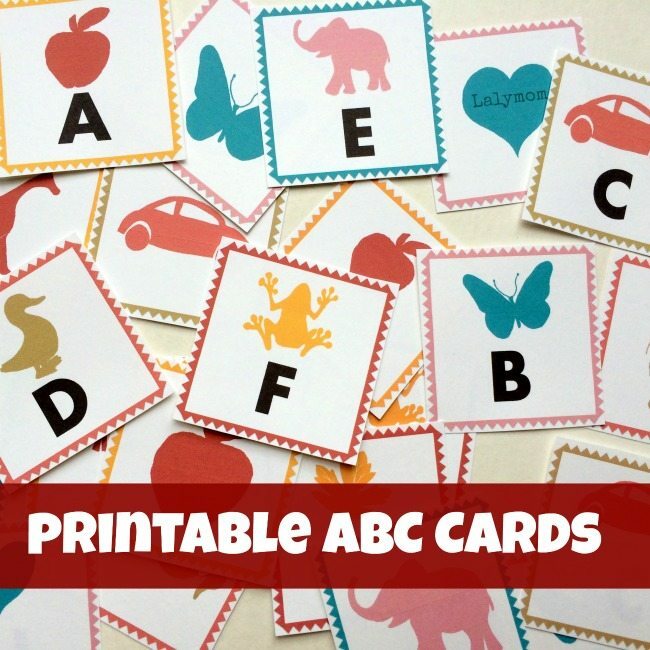 The great news is that these awesome printable ABC Letter Cards are available to you for free just for signing up for my newsletter! Sign up for my newsletter here! Just enter your email address and hit subscribe! You'll receive an email to confirm your subscription and then the email with the printables. Let me know how you use them! 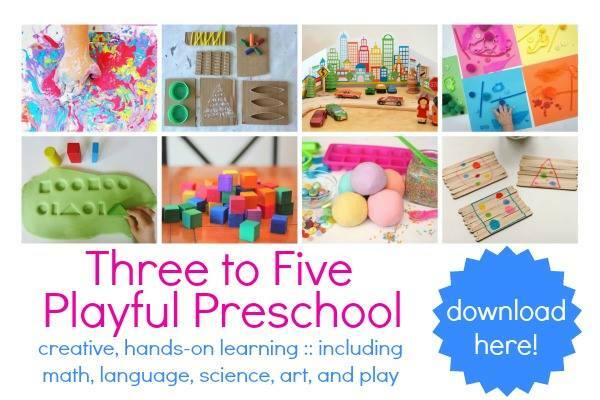 If you like those, you should check out the coordinating Printable Playful Counting Numbers Cards that I contributed to the Playful Preschool eBook on sale now! Love this idea? Why not pin it?! Would you like more ideas for letter learning? I've got TONS of amazing ideas on my Alphabet Pinterest Board! Come follow me there to get the latest and greatest inspiration! I’m very excited about your site. I am a retired (for two years) teacher that has given everything away — tons of it. NOW I am getting calls to tutor. Your site I hope is going to save me. I love the pictures you selected for your alphabet cards. Thank you so much for linking up to The Sunday Showcase. How very kind of you. My son is beyond the stage now but I have shared on my Literacy Kids Co-op round up to help share it with others. Our preschoolers were so excited about the magic reveal cards! What a fun time. Thank you for sharing!! 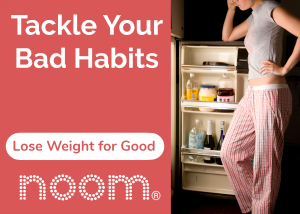 I think you are the first person to say they’ve tried them! I hope they work well and that you all enjoy!